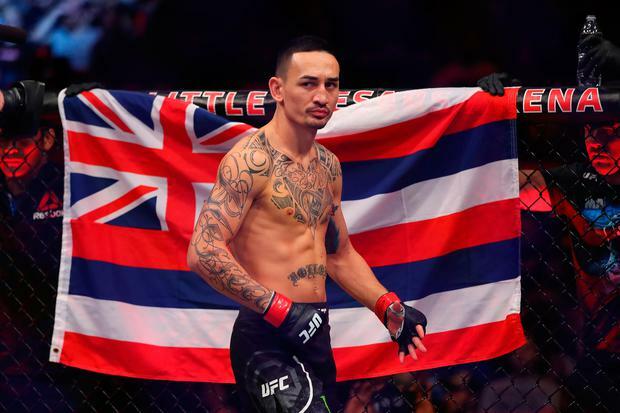 UFC featherweight champion Max Holloway has been forced to pull out off UFC 226 after being hospitalised with concussion-like symptoms. He was due to defend his title against Brian Ortega on Saturday night in Las Vegas but was hospitalised after his condition deteriorated over the past few days. A statement from his management team read: "Max’s team and UFC staff noticed Max was not normal since late last week. This became obvious to many watching his interviews and public appearances the past few days. "He was showing concussion like symptoms before he even started his weight cut and was rushed to the ER on Monday where they admitted him overnight. Initial scans seemed ok and he was released Tuesday afternoon but symptoms still continued. "Max fought with his team to continue with the fight. He showed some improvement over the next day but was still showing obvious symptoms. After open workouts he crashed and was very hard to wake up, when he did he had flashing vision and slurred speech. "He is now back in the ER for further tests."